Operations Oats was a huge success! Watch the footage from stores across the country on the RTÉ player by clicking here. 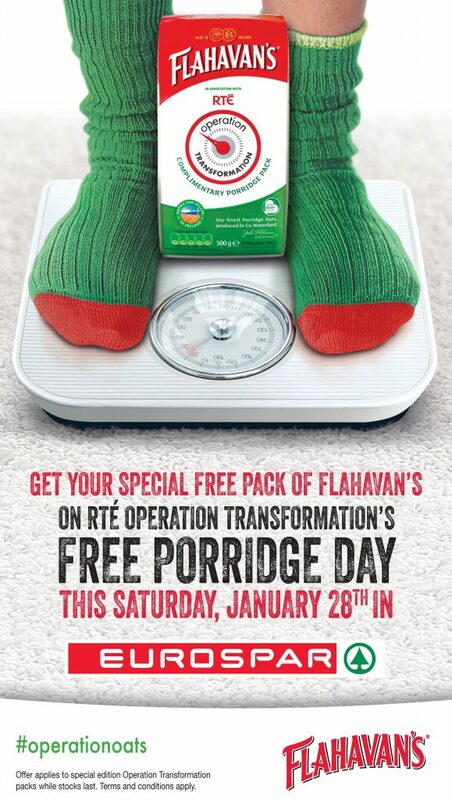 On 28th January 2017 ONLY, pick up your FREE limited edition Operation Transformation pack of Flahavan’s Progress Oats. This offer is only available while stocks last and is limited to 1 per household. Make sure you’re instore early to pick up your pack. 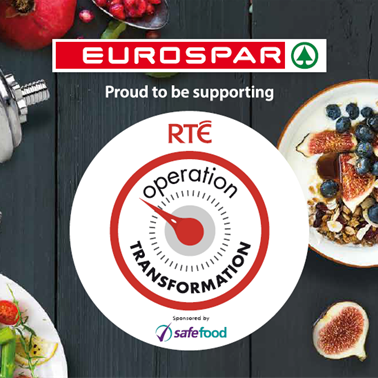 Find your nearest EUROSPAR supermarket here. 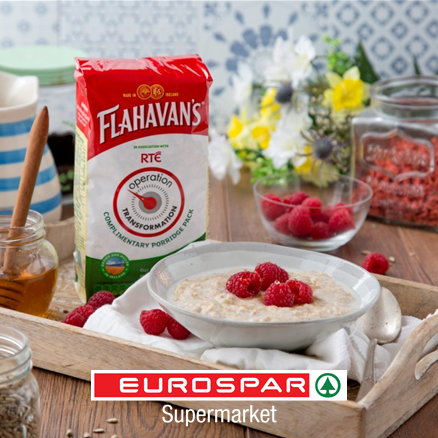 We have some delicious Oat recipes to share with you that you can enjoy with the whole family. 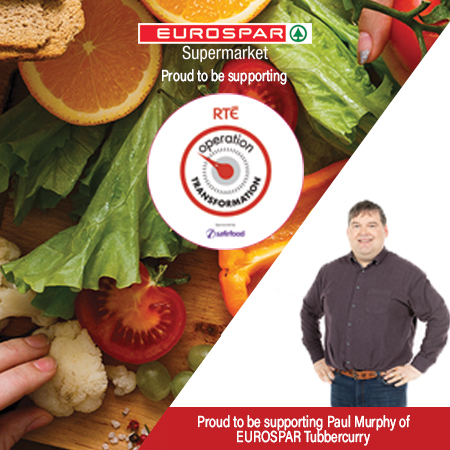 Check out the EUROSPAR Ireland Facebook page where we’ll be posting recipe videos for you to watch and enjoy.